If you’re having difficulty, please start by viewing the frequently asked questions below. For IDPH log-in help, call 217-524-3648 or 312-814-3648.
Who can register for access to the registry? I work for a local health department. How do I get access to the registry? How do I sign up to access the registry? How long will it take to get XDRO registry access? How can I get assistance with my Web Portal/I-NEDSS account (e.g., resetting my password)? How many people from each facility can sign up to access the XDRO registry? I started working at a new facility, but have a Web Portal/I-NEDSS account with my old facility. How can I report for my new facility? I have CRE to report, but do not have access to the registry yet. What should I do? A laboratory will report CRE on my facility’s behalf. Does my facility still need access to the registry? When I sign into the registry, the incorrect facility name shows up. How can this be changed? How soon after receiving a positive CRE laboratory result do I need to report it? Who is required to report to the registry? How were required reporters notified? What if the laboratory I am working with is not aware of the required reporting or has not been trained to enter data into the XDRO registry? Can laboratories use electronic laboratory reporting (ELR) to submit cases to the XDRO registry? If my laboratory or facility is already reporting to I-NEDSS, do I still need to report to the XDRO registry? What if I need to report for more than one facility? If a hospital first reports a patient to the XDRO registry, does a nursing home or other facility also need to report the same patient? If a laboratory processes a specimen from an assisted living facility and CRE is recovered, who is responsible for reporting? If I do not have an on-site laboratory (i.e., I use a reference laboratory), who is responsible for reporting a positive CRE case to the registry? Should both the lab and my facility report? What about outpatient and free-standing clinics—who has the responsibility of reporting? What if the clinic is associated with a hospital? What if the patient is discharged before I get the positive CRE culture report? Who is responsible for reporting then—the laboratory or the healthcare facility? Do laboratories report positive cases regardless of whether the patient is at a hospital or at a long-term care facility? What if a culture was collected from a patient who was seen at, but not admitted to, my facility? Are cultures obtained in the emergency department considered inpatient or outpatient? I’m entering a CRE result for a patient who resides at a long-term care facility. Where can I enter the facility’s name on the form? Should all clinical and surveillance culture results be included? During the same admission, my patient is found to have E. coli CRE and, on a later date, Klebsiella species CRE. Do I report both? If a patient already had a CRE-positive culture during a previous visit, do I have to report the patient again if they test CRE-positive on another encounter? Should patients who are intermittently CRE-positive be reported? Can I enter information about a patient that was found to be CRE-positive even if the culture was collected before November 1, 2013? If I report CRE to the XDRO registry, do I also need to report it to the local health department? Do I report if I had zero cases? Is the XDRO registry case sensitive? How do I edit or delete a record in the registry? What is the CRE surveillance definition in Illinois? Should I report ertapenem-resistant Enterobacteriaceae? Should criterion #3 be used for any Enterobacteriaceae other than E. coli and Klebsiella species? What if an isolate meets the susceptibility criterion, but further testing is negative? I’m trying to report an isolate to the registry, but I can’t find the organism name on the drop-down list. What should I do? When should I query the registry? How do I search for a patient in the registry? Can I search for CRE patients only within my own facility? Can the registry show all of the CRE patients reported by my facility? Can I search the registry to see all CRE-reported patients in my geographic area, by facility? Can local health departments query the registry? If I query the registry and see that a patient was CRE-positive, but tested negative for CRE at my facility, does the patient continue to need isolation or contact precautions? If so, for how long? Does the registry notify hospitals when a patient with XDRO history is admitted to their facility? How long does patient information stay in the registry? Can I print a submitted report in the registry? The only third-generation cephalosporin that our laboratory tests resistance to is ceftriaxone; should we have them test for ALL cephalosphorins mentioned in the surveillance definition? Whom do I contact if I have questions about whether an organism meets criteria (e.g., I am unable to interpret susceptibility results)? How do I send CRE isolates to the Illinois Department of Public Health laboratory? Does the Illinois Department of Public Health have plans for auditing or validating XDRO data? When will electronic feeds for reporting be available? When will automated alerts be available for my facility? Can the registry be used for MDROs other than CRE? Where can I access webinar recordings and slides? Where can I find the CDC CRE toolkit? Where can I find the facility transfer form? Healthcare facility and laboratory providers in Illinois may register for access. They will need to go through the Illinois Department of Public Health’s security process and be authorized by their facility’s portal registration authority (PRA). Local health departments may sign up for access to XDRO registry data via the Illinois-National Electronic Disease Surveillance System’s (I-NEDSS) Business Objects platform, but will not have direct access to the registry. Health department staff must first sign a Data Use Agreement to access registry data. Email DPH.XDROregistry@illinois.gov to initiate this process. Existing I-NEDSS users: These users automatically are granted access to the XDRO registry. If you already have an I-NEDSS username and password, sign in through the Illinois Department of Public Health Web Portal (http://portalhome.dph.illinois.gov/) to access the registry. Users who have access to the Web Portal, but not the XDRO registry: If you already have a username and access to the Web Portal, do not fill out a new registration form. Please have your facility PRA send an email to DPH.Security@illinois.gov requesting for you to have access to the additional application "INEDSS (Disease Surveillance) System/XDRO registry (extensively drug resistant organism)." Make sure your PRA includes your full name and User ID. If you do not know the PRA for your facility, please click here to find your PRA. If you still cannot find your PRA after scrolling through the list, please email DPH.Security@illinois.gov to find out who your facility PRA is. New users (who do not have access to the Web Portal): You must register for a Web Portal account at https://wpur.dph.illinois.gov/WPUR/ . Fill out the form and select the box to request access to the application "INEDSS (Disease Surveillance) System/XDRO registry (extensively drug resistant organism)." At the bottom of the form, enter your PRA’s e-mail. If you do not know who your PRA is, click on the “Portal Registration Authority” link in the application. Enter your facility name to search for your PRA. If you do not have an institutional PRA, enter DPH.SECURITY@illinois.gov as the PRA email on the application. Please note: This may take several weeks to process. You may want to record your password somewhere so you do not forget it while you wait to get access. If you have additional questions regarding access to the Web Portal, please call the Illinois Department of Innovation & Technology's Customer Service Center at 217-524-3648 or 312-814-3648. It may take several weeks to obtain access to the registry if you are a new user. First, you need approval for access to the Illinois Department of Public Health Web Portal, which includes approval from your organization’s PRA. If the delay is longer than expected, please contact your PRA to ensure that s/he approved your request. If your organization does not have a PRA, the Illinois Department of Public Health Security Team will send instructions on how to set one up, which will require a few extra steps. Once your PRA authorizes your request for access and the Illinois Department of Public Health approves it, you should receive an email from the Illinois Department of Public Health help desk allowing you access to the web portal. Please note that it may take another week before the web portal and registry are synced to allow you full access to the registry. For Web Portal access questions, including login and password issues, please call the Customer Service Center at 217-524-3648 or 312-814-3648. There is no limit to the number of people from each facility that can have access to the XDRO registry. However, to avoid inappropriate use of the XDRO registry, access should be limited to personnel responsible for infection control and/or reporting. If personnel who have access to the registry are no longer with the facility, the facility’s PRA should contact DPH.Security@illinois.gov so that their access can be removed. You will need to register for a new account with your new facility at https://wpur.dph.illinois.gov/WPUR/. Your new facility’s PRA will have to authorize your access. While waiting for access, you can send an email to DPH.XDROregistry@Illinois.gov to document that you are trying to report CRE in compliance with the law, but do not have access to the XDRO registry yet. Please do not include any patient identifiers in your email. Once you obtain access, you must report the CRE event to the registry. Because the registration process can take several weeks, the Illinois Department of Public Health strongly encourages facilities to sign up for access, even if they do not have CRE at this time. This will allow facilities to search the registry for CRE-positive patients and to immediately report to the registry if and when they do have cases. The XDRO registry allows for inter-facility communication of CRE status. Healthcare facilities are strongly encouraged to sign up for access, even if a laboratory is reporting on their behalf, so they can search the registry for CRE-positive patients. If a laboratory is reporting CRE on your facility’s behalf, you must let the Illinois Department of Public Health know at DPH.XDROregistry@illinois.gov. Please email DPH.XDROregistry@Illinois.gov if your username is associated with the incorrect facility or the facility name needs to be updated. Starting November 1, 2013, the first CRE-positive culture per patient encounter must be reported to the XDRO registry, per the Illinois Control of Communicable Diseases Code (77 Ill. Adm. Code 690). By law, CRE events must be reported within 7 days of CRE result finalization. If you are waiting for further laboratory testing results (e.g., PCR), but initial lab results (e.g., susceptibility testing) meet the CRE reporting criteria, we recommend you report the initial results to the XDRO registry and edit the report upon receipt of final lab results. Acute care hospitals (including short-term and long-term), skilled nursing facilities, and laboratories in the state of Illinois are required to report CRE cases to the XDRO registry. All other facilities (e.g., outpatient clinics and assisted living facilities) are not required to participate in the XDRO registry. The Illinois Department of Public Health sent paper and electronic communication to required reporters to inform them of their reporting requirements. For a copy of the notice, you may contact DPH.XDROregistry@Illinois.gov or visit www.xdro.org for guidance. To receive future communications, we encourage you to sign up for the State of Illinois Rapid Electronic Notification (SIREN) alert system by emailing DPH.han@illinois.gov. Reporting requirements and training materials are available at www.xdro.org. If the laboratory is in Illinois, then it is responsible for reporting CRE to the XDRO registry. If the laboratory is outside of Illinois, then the facility that collected the CRE culture is responsible for reporting the isolate to the registry. If a reference laboratory’s corporate headquarters are outside of Illinois, but it has a laboratory located in Illinois that tests for CRE, then the local laboratory is a required reporter. 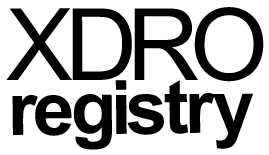 Reporting to the XDRO registry is currently by manual entry into the website, including for laboratories. Future plans include developing ELR capability for the registry. Reporting to I-NEDSS does not satisfy CRE reporting to the XDRO registry at this time. This is because the XDRO registry exists separately from I-NEDSS, in order to provide both reporting and search functionality. Thus, you need to manually report CRE directly to the XDRO registry. Your XDRO user account is typically associated with one facility. If you need to report for more than one facility (e.g., you are an infection preventionist in charge of reporting for multiple hospitals in your system or work at reference lab and report on behalf of outside facilities), please contact DPH.XDROregistry@Illinois.gov. For users at healthcare facilities, you will need PRA authorization for each facility you are reporting for. Once your account is associated with multiple facilities, a pop-up on the report submission page will ask you to confirm the facility that you are reporting for. You can also toggle between your approved facilities by clicking on “change facility” at the top right of the page. For users at laboratories, you will be given access to a “For laboratories and IDPH only” feature in the report form. Click the “Select facility that sent specimen” drop-down on the bottom right of the submission page. Select “Search Facility” to find the facility that you are reporting for. If a facility does not show up in the list, email DPH.XDROregistry@illinois.gov to have the facility added to the list. The first CRE culture per patient encounter should be reported. Thus, if a patient was already reported during a prior hospital encounter, a nursing home or other facility would only need to report the same patient if a new CRE culture was obtained at their own facility. Assisted living facilities are not required to report to the XDRO registry; if an assisted living facility obtains a CRE culture, then the laboratory that identified CRE is responsible for reporting. In general, the facility that obtained the culture is responsible for reporting. Thus, even if the facility utilizes a third-party laboratory, the facility itself is responsible for reporting the CRE positive result. Laboratories are allowed to report on the behalf of other facilities, but this agreement must be worked out between the laboratory and facility. If a provider is not a required reporter (e.g., doctor’s office), then the laboratory that identified CRE is responsible for reporting. The specimen should be reported only once. Outpatient clinics, whether or not they are affiliated with a hospital, are not mandated to report to the XDRO registry. Laboratories are considered reporting entities to the XDRO registry, so they are required to report CRE events. For these cases, laboratories should check the “culture obtained as an outpatient” box and select “outpatient” in the “reporting for” drop-down menu. They may also choose to enter the clinic name in the comments box. In general, the facility that orders and obtains the CRE culture is responsible for reporting, even if the patient is discharged before the result is returned. Laboratories should confirm that the event was reported (e.g., by searching the registry), or else manually report cases to the registry. Yes. Unless the laboratory confirms that the event was reported by another facility (e.g., by searching the registry), they should report eligible CRE events to the XDRO registry, regardless of where the culture was obtained, including non-reporting facilities such as outpatient clinics. For outpatient cultures, you may check the “Culture obtained as outpatient” box on the XDRO report form (under the Facility information section). In most cases, these can be reported as outpatient. But if you have additional information that the patient was admitted to an inpatient location on the same visit, you can enter it as inpatient. You may enter the long-term care facility’s name in the comments box. Please do not enter facility names in the “Street address” field, as this affects the ability to process data from the database. Yes, all clinical and surveillance culture results are eligible to be CRE events. The goal for the XDRO registry is to identify all patients who carry CRE, regardless of the type of culture, to facilitate implementation of infection control measures. Only the first CRE event (regardless of species) per patient encounter is required to be reported. Thus, in this example, only the E. coli CRE is required to be reported. However, we encourage facilities to report subsequent CRE events if the organisms or mechanisms of resistance differ from those identified in the first event. Yes, report the first CRE culture for each patient encounter. Thus, if a patient has two separate facility admissions and has a positive CRE culture in each admission, both events should be reported. Knowing whether a patient is repeatedly positive for CRE is important for public health decision-making. If a patient is screened multiple times for CRE and is positive on some dates but not on others, the first positive CRE event per facility encounter should still be reported. Yes, CRE cultures obtained on or after January 1, 2012 can be entered into the XDRO registry. For CRE cultures collected prior to November 1, 2013, reporting is optional and at the discretion of the reporting facility. Reporting CRE to the XDRO registry is the only action needed to satisfy Illinois Department of Public Health reporting requirements. You do not need to also report to your local health department unless they request that you do so or there are special circumstances (e.g., potential cluster or CRE with an unusual carbapenemase such as an NDM, OXA, IMP, or VIM). No, if you have zero cases, you do not need to report. Only CRE events are reported to the XDRO registry. The registry is not case sensitive. When reporting, the registry will automatically capitalize the names upon submission. When searching, the registry will ignore the case. You can edit or delete only the records that your facility has entered. First, pull up the record through your facility’s submission history or by querying the registry. At the bottom of the page, select “Edit” or “Delete.” Before deleting a record, you must select the reason for deletion (e.g., duplicate record, lab testing error, patient deceased). Please note: De-colonization or infection resolution is not a valid reason to delete a record in the registry. For E. coli and Klebsiella species only: non-susceptible to ONE of the following carbapenems (doripenem, meropenem, or imipenem) AND resistant to ALL of the following third-generation cephalosporins tested (ceftriaxone, cefotaxime, and ceftazidime). Consult with your microbiology laboratory regarding which CRE tests are available. For some laboratories, only #3 (susceptibility testing) will be available. Ertapenem susceptibility status should be ignored when making a determination of CRE. When applying the susceptibility testing criterion #3, look for non-susceptibility to imipenem, meropenem, or doripenem, in addition to resistance to third-generation cephalosporins. No, criterion #3 (which focuses on resistance/susceptibility testing results) should only be applied to E. coli and Klebsiella species. An isolate should be reported if it meets any of the three reporting criteria, even if additional testing is negative. For example, if an E. coli isolate is resistant to meropenem and all third-generation cephalosporins tested, but is Modified Hodge Test negative, the isolate should still be reported. You may include the additional results in the comments box. It would be rare for a clinical Enterobacteriaceae not to be on the list. Please note that Acinetobacter and Pseudomonas are not Enterobacteriaceae. If you believe the list is incomplete, please contact DPH.XDROregistry@illinois.gov. Some laboratories may conduct screening tests for carbapenemase production but do not identify the organism (e.g., CRE chromogenic agar). For these cases only, the “screen only (organism unknown)” option may be selected. Before using this option for the first time, please email a description of your laboratory’s testing methods for screening isolates to DPH.XDROregistry@illinois.gov. We encourage you to query the registry when evaluating whether a patient at your facility requires special precautions to reduce transmission of CRE, such as isolation precautions. Currently, all querying is manual. For facilities with few admissions per day (e.g., nursing homes and long-term acute care hospitals), querying every patient admission may be feasible. For facilities with many admissions (e.g., short stay acute care hospitals), targeted querying of a smaller group of high risk patients, such as ICU patients or patients recently exposed to other healthcare facilities, may be feasible. From the registry homepage, select the “Search Registry” button. Enter the patient’s last name and date of birth (first name is optional) to conduct a search. Sometimes patient first and last names are inverted when entered into the registry. You can check for this by entering the full inverted name and date of birth into the search function. All matches will be listed (e.g., John Smith and Smith John). Please note that a query match based on patient name and date of birth may not be 100% accurate. We recommend that you verify XDRO status (e.g., by comparing patient address or by contacting the facility that entered the result). The XDRO registry is designed to promote information exchange among healthcare providers by allowing users to search the CRE history of a specific patient across all facilities in Illinois that are reporting to the XDRO registry. Yes, you can view and search a sortable list of your facility’s reports on the "Facility Submission History" page. There, you can use any of the fields to conduct a search within your facility. The XDRO dashboard also allows you to view a summary of your facility’s and the state’s data. Only authorized public health agencies will be able to view reports by geographic area. Permissions will be under the authority of the Illinois Department of Public Health. If you wish to view statewide data, the XDRO dashboard provides a summary of the entire XDRO dataset and the statewide trend in the 12 months. The Illinois Department of Public Health will give authorized local health departments access to the data through the I-NEDSS Business Objects platform. The health departments can use these data to guide regional interventions to reduce intra- and inter-facility transmission. Local health departments can email DPH.XDROregistry@illinois.gov to request access. Currently, there is no widely accepted method to determine when a CRE-positive patient can be re-classified as CRE-negative. Many facilities consider CRE-positive patients to remain CRE carriers. Each facility should create policies consistent with public health recommendations regarding appropriate infection control practices for CRE-carrying patients. Further guidance can be found in CDC’s CRE toolkit (http://www.cdc.gov/hai/organisms/cre/cre-toolkit/). Currently, all querying is performed manually, but an automated alert system is in development. The plan is for hospitals to send encrypted patient admission information to automatically query the XDRO registry. If there is a match, the hospital infection preventionist would be notified via e-mail to review the alert in the registry. The process of connecting hospitals electronically to the XDRO registry will take additional time and resources to develop. There is no time limit on how long patient information can remain in the registry because the duration of CRE carriage is unknown. We will make future changes with respect to how long patients should be considered CRE-colonized based on available scientific data as well as CDC guidance. Yes. Pull up the patient’s record either from your facility’s submission history or from a registry search. At the bottom of the record, there is a print option. To print a record with the “Deleted” watermark, you may need to adjust your Internet browser’s printing properties so that it will print background graphics. For example, in Chrome, go to the print dialog box -> +More settings -> options -> Check “background graphics”. In Internet Explorer, go to the File menu -> Page setup -> Check “Print background colors and images”. No. Criterion #3 of the CRE definition specifies resistance to all third-generation cephalosporins tested (ceftriaxone, cefotaxime, ceftazidime). If your laboratory tests only a subset of this list, use what is available. Note: some laboratories perform additional susceptibility tests not displayed in the final report. If you need additional testing information regarding a culture result, consider contacting your laboratory. We recommend that you first contact your microbiology laboratory and speak with a staff member who is knowledgeable about your laboratory’s CRE testing. If you are still unsure, you may contact the XDRO registry support team at DPH.XDROregistry@Illinois.gov for further guidance. If your laboratory identifies CRE isolates with unusual carbapenemases (e.g., NDM, OXA, IMP), these may be sent for further testing if they meet select criteria. See the laboratory resource packet (https://www.xdro.org/img/CRE_Lab_Packet_12.2014.pdf) for additional guidance. In outbreak situations, you may contact your local health department and/or the Illinois Department of Public Health at 217-785-7165 or DPH.XDROregistry@Illinois.gov to determine whether confirmatory testing is appropriate. The Illinois Department of Public Health may occasionally ask for CRE isolates as part of special projects. We will send out notification to relevant laboratories if this occurs. For additional information, contact DPH.XDROregistry@illinois.gov. The Illinois Department of Public Health has conducted periodic laboratory validation of a sample of CRE isolates submitted to the XDRO registry. The Department is also exploring additional strategies to validate XDRO registry data. Currently, electronic feeds for reporting are not available, but the Illinois Department of Public Health is exploring ways to connect electronic reporting to I-NEDSS and the XDRO registry. An automated alert system is in development. The plan is for hospitals to automatically send patient admission information to query the XDRO registry. If there is a match, the hospital infection preventionist would be notified via a secure email to review the alert in the registry. At this time, the XDRO registry is only for CRE. In the future, if important for public health, other XDROs (e.g., vancomycin-resistant S. aureus) may be considered. Please note that Pseudomonas and Acinetobacter are not part of the Enterobacteriaceae family, so they are not CRE and should NOT be reported to the XDRO registry at this time. Enterobacteriaceae that are ESBL (extended spectrum ß-lactamase)-producers should NOT be reported to the XDRO registry at this time, unless they meet the CRE definition (e.g., they are also carbapenem-resistant). CDC's CRE toolkit is available at http://www.cdc.gov/hai/organisms/cre/cre-toolkit/. An inter-facility patient transfer form is available at http://www.cookcountypublichealth.org/communicable-diseases/patient-transfer.